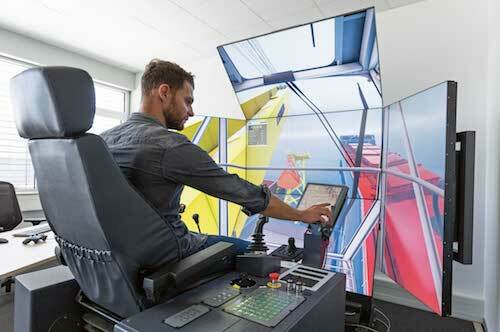 Port Nelson in New Zealand will soon receive its very first Liebherr training simulator for Oceania, allowing the training on more aspects of real port operations, with both a generic ship crane simulator and the LiSIM version of the LHM 550 mobile harbour crane. The ship crane simulation-software features the CBG series, a floating four-rope grab crane with a boom length of 28 m and a maximum lifting capacity of up to 45 t.
Equipped with Liebherr’s original LiTRONIC crane controls, the LHM 550 mobile harbour crane simulator has training programme for operations such as bulk, breakbulk and container handling. With the delivery previewed for April, LiSIM is the only realistic virtual solution available on the market for learning the control of Liebherr maritime cranes. “The simulator allows benchmarking of current driver skills and monitoring of drivers using periodic checks, plus can be used to assess new drivers for suitability without the costs associated with running a real crane, such as fuel and wear-and-tear. It will make for safer and more efficient handling in a variety of weather conditions,” said Jonny Cook, the Port’s Container Operations Manager. 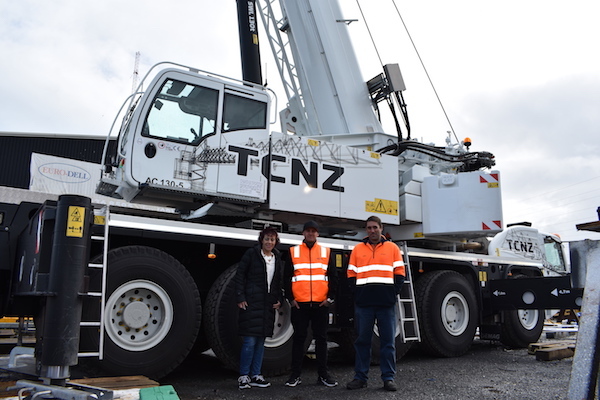 The fleet of the New-Zealander rental crane company Tower Cranes NZ has recently enhanced with a new Demag AC 130-5 all terrain crane. This versatile machine with five axle lines has a 130t capacity with a 60m main boom (86,5m of maximum length). The Demag AC 130-5 is configured to be transported and operated efficiently while offering a great handling on job sites. 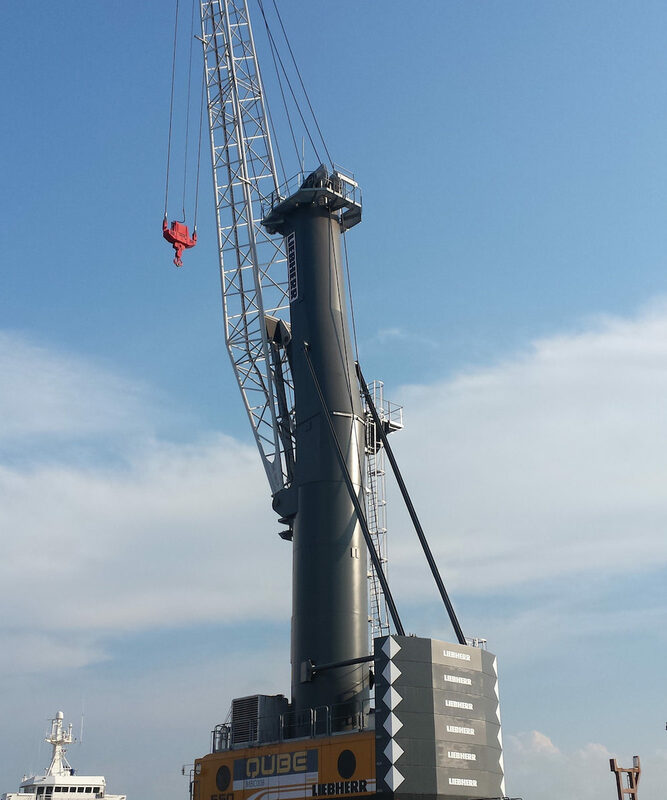 Tower Cranes NZ teams paid tribute to the capacity of the Demag AC 130-5 to work in confined spaces thanks to the IC-1 Plus control system as well as to its flexible and complete transmission.